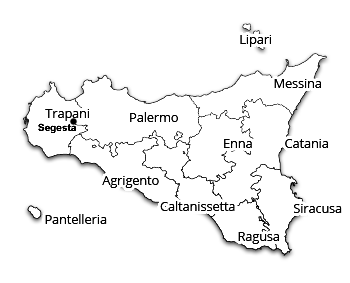 To reach Segesta Archaeological Park, take the A29 highway towards “Palermo” if you come from Trapani and the province or direction “Trapani” if you come from Palermo and the province. From Segesta junction a few meters you will find the Segesta Car parking (see rates). The Segesta Parking Archeodromo is the service used for visitors to the archaeological park, it’s a new structure hosting and is served by a free shuttle to the Temple ticket office, with guaranteed departures every 15 minutes round trip. 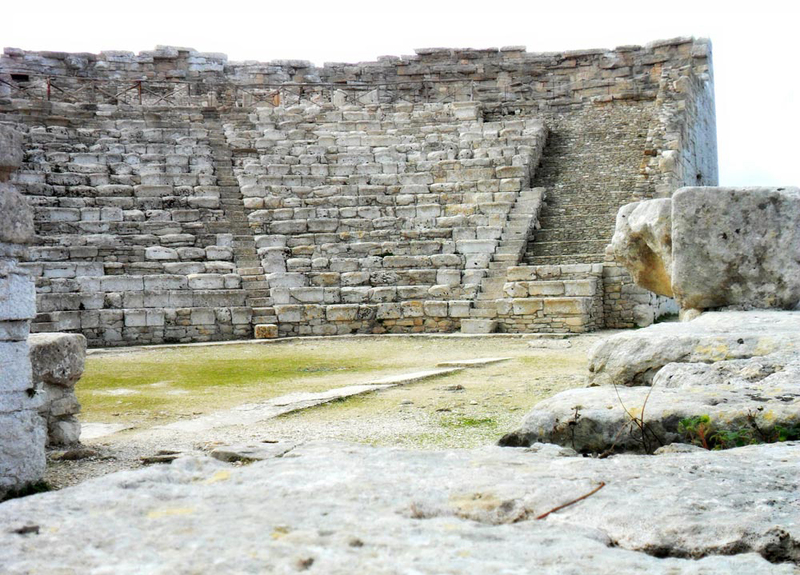 The Archaeological Park has a hilly morphology, the main monuments to visit are the “Temple” and the “Theatre“. 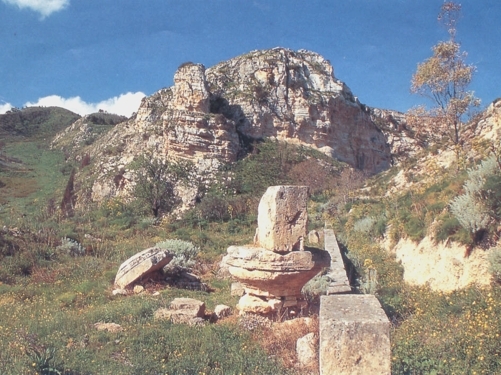 Two areas are separated from “Mount Barbaro“, up the hill you will find the Ancient City of Segesta with the excavations and discoveries in the early nineties, the famous Theater partially excavated in the rock of the hill. The entrance tickets for the visit is € 6.00 adult rate, € 3.00 for children aged 18 to 25, and is free for minors (only for E.U. members). Free visit begins by walk to the Temple away from the ticket office only 300 mt. The Theatre located on top of Mount Barbaro can be reached on foot, but for the last twenty years exists a private shuttle bus service, it costs 1,50 € round trip. Outside the walls, along the ancient streets of the city, there is another important monument: the “Sanctuary of Contrada Mango” (VI-V century BC), it’s possible to include it in your visit only for request. We suggest you to book and then buy a “tourist guide service” to have an exhaustive explanation of this Archaeological Park.